← Wie zijn L&L Tours of L.L.Tours uit Madrid? 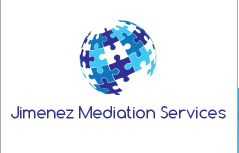 The concept Mediation Services is quiet extended, the question is though mediation in what and how? Well we have a new cold caller by the name of Jimenez Mediation Services who seems to be mediating for people who didn’t even know them. This entry was posted in Costa del Sol, Legal Services, Mediation services, Warnings and tagged Bogus legal company, Bogus Mediation Company, Costa del Sol, Court settlement, Edf. Windsor, Fake Lawyers, Fuengirola, Jimenez Mediation Services, Lawyers fees, Mediation Services, Reclaim Ltd, timeshare owner. Bookmark the permalink.